Contact Us - Website of Wolf Malt Products! 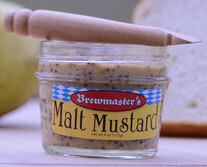 If you would like to know more about our product, if you have any questions or if you would like to share your "Brewmaster's Malt Mustard - experience", please call us or send us a message. We will get back to you as soon as possible. We are looking forward to your feedback!